As an actor and voice actor of 20 years – it’s always a pleasure to work within the more dramatic dimensions of voiceover work. During the summer I was delighted to record a deep trailer voiceover, promoting a new video game “Champions Rising: Legends of Elusia” by NEXON Mobile. Initially I auditioned, as requested, with two specific voice styles; a voice similar to Colin Firth (in Kingsman) and a British version of Richard Epcar’s gravelly tones. You can hear my audition clips below – recorded on iPhone and tweaked on iMac. Once cast, I recorded the promo at the wonderful Shepperton Studios (Pinewood Group). It was a very dynamic session – being directed simultaneously by the Shepperton studio team and the NEXON production team in South Korea. The Firth and Epcar clips demonstrated the flexibility needed to land the role – yet when it came to the recording day I was asked to provide two other voices:- (1) Dramatic Voice of God (2) Grandpa/Professor – with an emotional world weary sound. The Voice of God version was used, as heard in the video excerpt below. It’s always fun being asked to improvise and develop new voices as needed in the recording session – and great to see very happy clients! 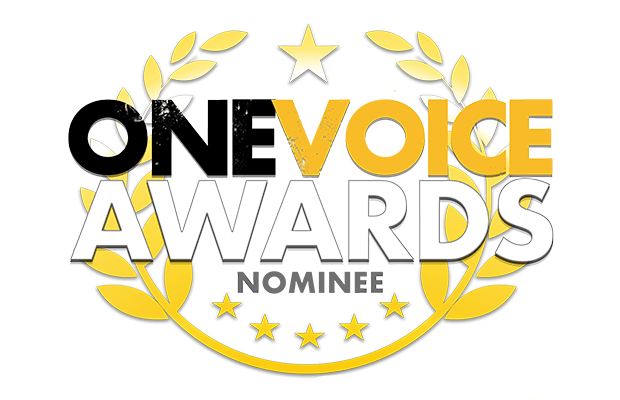 I’m delighted that my voice work on this gaming project has been nominated for the One Voice Awards 2018 in the category Best Male Performance – Gaming. NEED A VIDEO GAME CHARACTER VOICE ?